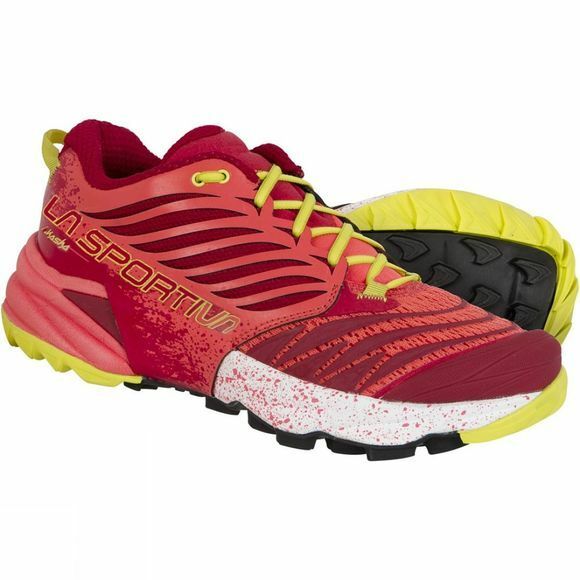 The Women's Akasha Shoe from La Sportiva is a lightweight but durable trail running shoe that offers excellent protection on long runs across difficult terrain. The AirMesh upper ensures excellent breathability at all times while the ProTechTion reinforcements offer support and protection from debris without weighing you down. 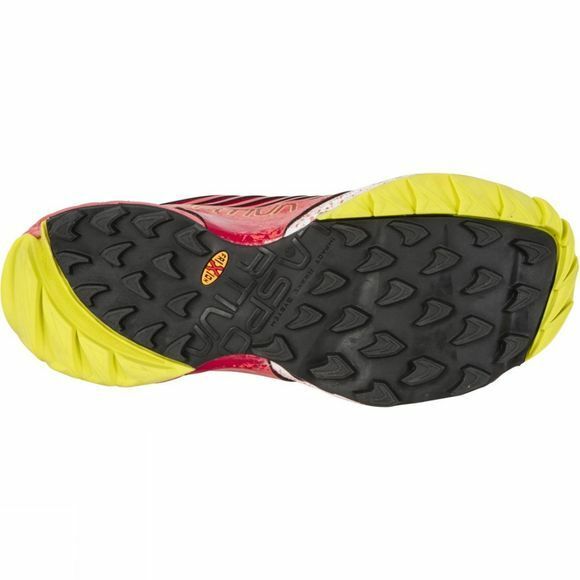 The underfoot support comes from the MEMlex midsole that offers great cushioning and is extremely lightweight while the FriXion XT outsole is durable and grippy and boasts Impact Brake System technology to keep you steady on the ground.